So, it’s finally here. 1800 bottles for the UK market, malt peated to 25 ppm, giving 8ppm in the bottle, no age statement, chill-filtered and bottled at 40% abv. An ongoing product scheduled to have a three-year lifespan. Ardbeg Blasda has had many of the distillery’s fans in a state of anticipation for some months now. I first saw the press pack for this early in July, and have been wondering about it ever since. At first there was euphoria when news of Blasda’s imminent arrival leaked out – an affordable Kildalton was something that a lot of people had hoped for and many quickly assumed their prayers had been answered. But then the inevitable carping began: Why has this been chill-filtered when Ardbeg are normally so keen to emphasise that they don’t tamper with their whisky this way? Why has it been bottled at a wussy 40% instead of the manly 46% that gives the ten year old its wonderful zing? 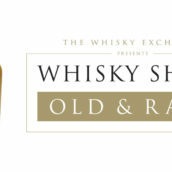 Why is this no age statement whisky over forty quid a bottle? Ah, say Glenmorangie, but that’s the whole point! This is all about comparing and contrasting different styles of Ardbeg. Blasda gives people an opportunity to marvel at the distillery’s versatility. Whoever is right, and the truth is probably somewhere in the middle as usual, the facts are that this release has certainly provoked plenty of publicity and debate and most Ardbeg fans are likely to buy a bottle out of curiosity. Personally, I had originally thought that the 8ppm was the malt peating level, not the final in-bottle level. But as it turns out, Blasda’s malt was peated at 25ppm – not much less than Caol Ila, about the same as Bowmore and far more than Bruichladdich or Bunnahabhain. So in effect, bottled Blasda has one third of the phenols of the Ardbeg ten year-old. I’m wondering: in what would be a rather ironic twist, have Glenmorangie perhaps made this Blasda not unpeaty enough?? (My grammar always goes to sh*t when I wonder, but I hope you see my point). 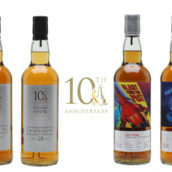 I’m lucky enough to be going to our Ardbeg tasting with Micky Heads on Monday night at TWE’s shop in Vinopolis, and I’m sure Blasda is making an appearance, so will report back on whether or not this has been an inspired move by Glenmorangie or a disappointing missed opportunity. Whatever turns out to be the case with Blasda, I know I’m going to have a good night – apparently there’ll be one of the single cask jobs floating around as well. And i have to say,I was disapointed,it’s not my cup of tea. Come on…what is the point. I drink Ardbeg because it is Ardbeg. If I wanted an Islay with less peat and punch I would drin Caol Ila or Bowmore. Ardbeg shoudl do what it does best and not try to be all things to all people. I’m not sure about the peating levels on this one. I remember we did a few batches of 10ppm malt in 2005 and at the time I was informed that we’d done the same thing in the late nineties and during 2002. The 02 stock was sensational at four years old, a real honey bomb. I haven’t tried this yet, I’ll try it at the tasting on monday night but I suspect its pretty tasty, I just wish it was left at cask strength. I understand the thinking behind using bottling strengths to demonstrate versatility but we know how good Ardbeg can be and we are perfectly capable of adding our own water. I just enjoy the flexibility that cask strength bottling affords a whisky. In all probability it will just taste like slightly softer Ardbeg. Think about the Caol ila 8yolds, its very difficult to flush all those phenols out of the system. If you’re running 56.4ppm malt through a plant things like the intermediate spirit receiver, which only gets cleaned out once a year, will reek of peat and other such grizzly flavours, that has a big effect on the low wines and subsequent spirit. I think anyone looking for budget Kildalton will be disappointed but anyone looking for a damn tasty dram will probably be pleasantly rewarded. I’m definitely looking forward to monday night. It’s a disappointment. I have tasted it, and no i will not buy a bottle. it’s a lame whisky from ardbeg, not as unpeated as the told us i should be. Sorry Ardbeg this time you ain’t gonna get my money. Ouch! Looks like the reaction from the Ardbeg faithful (based on our somewhat slender sample!) isn’t quite what Glenmorangie would have hoped. 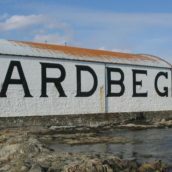 BTW, anyone who has never seen first poster Geert’s unbelievable Ardbeg collection really should visit his website http://www.ardbeg.eu, although you may become extremely jealous and want to give up collecting whisky after you’ve seen the ridiculously huge number of Ardbegs he’s amassed. For malt-lovers and Ardbeg fans it’s practically obscene – Bravo, Geert! Angus, great to hear from you, and particularly good to get an insight from someone who’s been on the other side of the stills (as it were) and has some good inside knowledge! I had always wondered about the peatiness of the ‘unpeated’ 8yo Caol Ila, not being entirely satisfied with the explanation I heard that it ‘must be from the water’. Of course it didn’t help that the Diageo people flatly denied that it was peaty at all. I will put your explanation to them at the Special Releases tasting, it certainly sounds more likely. I should have guessed it myself, I suppose – but I never really thought about what they would do before starting an unpeated batch – I would have naively assumed that they would clean everything out somehow before doing an unpeated batch (without really thinking about what that would entail). Anyway, glad you’re around tonight – see you there & then we can make up our own minds on the Blasda. I’m really looking forward to it, and, by the looks of things, this is a story that will continue to provoke controversy. I will post my Blasda tasting notes and general impressions on Tuesday. I like the Blasda. It is very tasty and I would have no problem drinking it on a regular basis. However, I do feel there has been some slight of hand with the peating level. 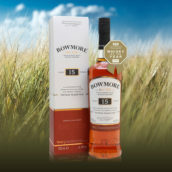 25ppm in the malt (which is the measure we normally see) is far from 8ppm and the dram certainly is awash with peat. Not what we were expecting. If we were supposed to see what a lightly peated Ardbeg was like then we are still waiting. Also I do not agree with the decision to water it to 40% and chill-filter ot. WHY, for goodness sake? Is there a marketing person around somewhere? Finally a comment on the price. This is not funny. I do like the Blasda and have bought one so that I can explore it a bit further, but that will be it as far as I am concerned. An ongoing product for three years is not very limited and £40 for a 40% chill-filtered dram is just too much. I’d give them 10/10 for the unpeated malt idea, but only 3/10 for its delivery. Personally, I am still awaiting my first go at the Blasda. So, cannot comment on the actual delivery. But, it is overpriced for what it is, in particular when compared to the regular TEN, which of course has an age statement and comes at 46 abv – but is far cheaper (sorry: less expensive). However, the sensation of peat (or peatiness; phenols) one gets in the whisky may not be directly linked to the level of peat/phenols in the malt. Phenols are very powerful aroma and taste congeners and will impart a lot of their mark on the spirit already from a rather low concentration – and a doubling of the phenol level will not necessarily mean a doubling of the power in the peaty sensation, or even be immediately noticeable. Compare your very highly peated (around 55 ppm?) malt that goes into Longrow with your nice dram of (supposedly less peaty; 25 ppm) malt that went into the Bowmore. And then tell me that the Longrow is twice as peaty? Different, sure. But twice as peaty? Not at all necessarily so – as the processes are different, in a number of small respects. The perception of peatiness, to me, is a sum of the constituent parts that makes up a malt. And the Blasda spirit has been run through the same stills as all other Ardbeg, no doubt also “suffering” a bit from the above mentioned soiling of previous peatier runs. 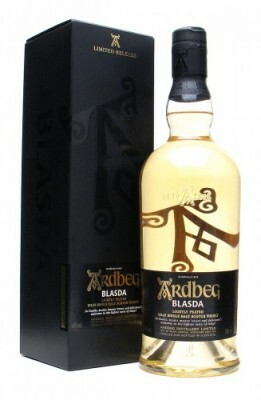 I am not surprised at the reaction to the Blasda, I feel that it cannot be compared to any of the other Ardbeg bottlings in that it stands alone as a style of malt. You can’t compare it to the Caol Ila as it is not cask strength and it does not have the age that the Kildalton had so it is a target for ridicule. Diversity is always acceptable and should be encouraged and I know as a retailer that this line will move slowly because it does not have that smoky bonfire in your mouth, so I would give it a second and even third look to see what it is doing and not judge it harshly from just one sample. It will sit along side its more powerful brothers and it may find its way into the psyche of some fans and I hope that it will be looked upon favourably as that ‘Other Ardbeg’ in the future. Yo yo, excellent night at the WE shop last night. Last week tasted it. Bought a bottle. I agree with Willie. Good whisky, but to expensive and to late. The 40% doesn’t bother me too much, but the Blasda should be in the 25 – 30 price range. The taste is fresh and summery, so to introduce it in September is 6 months to late. It’s the same price as a Renaissance, but, although a good whisky, it doesn’t hold a candle to it. It should be in the Laddies Waves and Rocks bracket. -It actually more expensive than both the Renaissance (55.9%) and the Uigeadail (54.2%). Madness. The Blasda is a limited edition and you pay premium. Tip for all distillery’s: put LE on your bottle. You can add a tenner or more to the price. Is this really a limited edition ??? of a couple of thousand bottles, and it will be here for a few years. Of course they did a good marketing job with the clear bottle and black packaging, the big A on the bottle. 36 bottles for the world,that’s limited. At least they fixed the caps on the new bottlings of Ardbeg. Serge did achieve something with his actions a couple of months ago. They put it on the box. So it must be true.